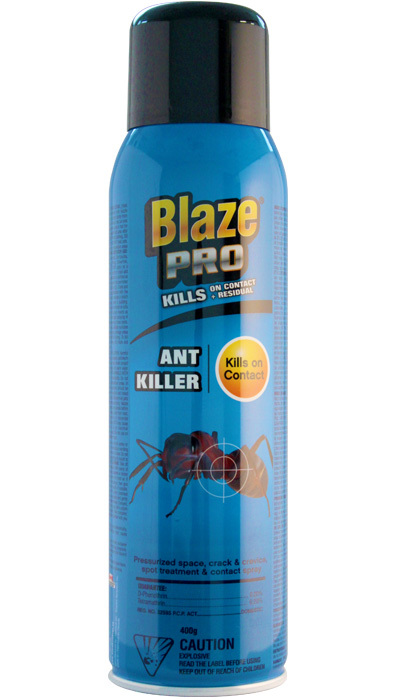 Blaze Pro® Ant Destroyer kills on contact and provides residual killing action for up to 60 days. 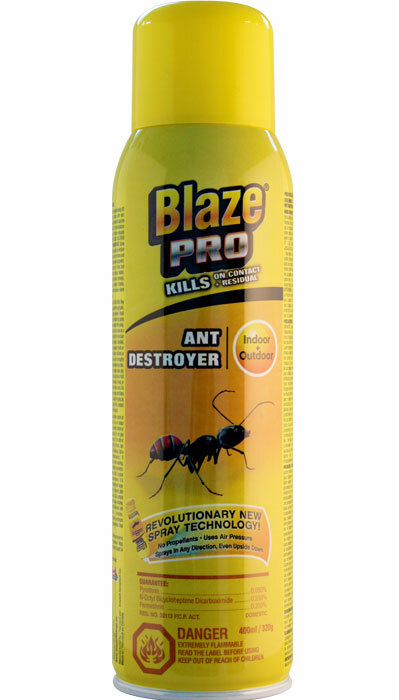 Blaze Pro® Ant Destroye also features a revolutionary new spray technology that uses air pressure and sprays in any direction, even upside down. DIRECTIONS FOR USE: Hold container approximately 30 cm from surface being sprayed and spray until wet. 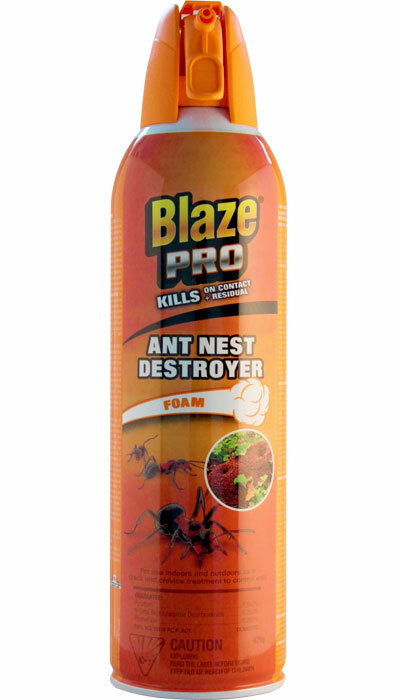 Thorough applications produce a coating which will vaporize into cracks and crevices for insect control. If reinfestations occur, repeat applications as necessary. Provide adequate ventilation after indoor use. KEEP PETS AND CHILDREN AWAY FROM SURFACE UNTIL DRY. 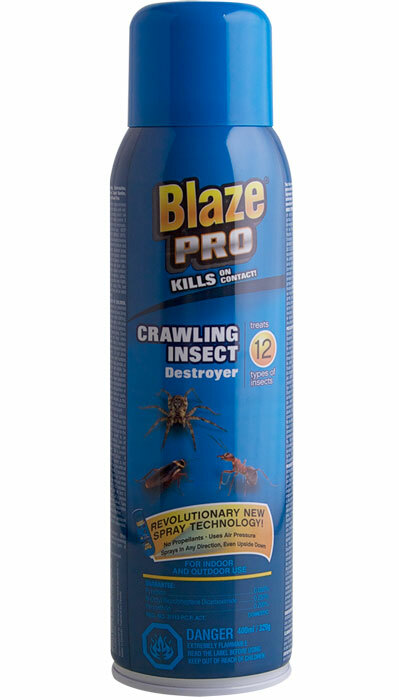 INDOOR USE: Thoroughly treat cracks and crevices and spots along baseboards, underneath furniture and equipment, around garbage containers, localized areas of floors and floor coverings and other places where insects habitat. Spray trails and places where ants enter premises such as window and door sills. 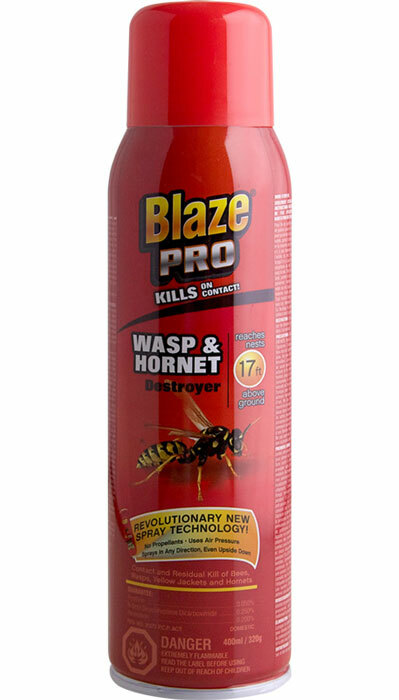 OUTDOOR USE: Spot Treatment: Spray outside surfaces of screens, doors, window frames, foundations, patios, light fixtures and other places where insects may alight, or congregate and enter. For ants, spray hills and runways.